Digital efficiency & emissions printout with all services. We provide a speedy callout and great value for peace of mind. 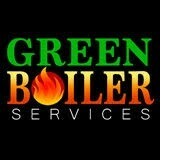 If you have a boiler problem, we pride ourselves in dealing with all boiler repairs fast and effectively. We also supply Oil tank base concrete reinforced lentils, supplied & fitted. Oil transfer system also available - tank to tank.